Hi! Sorry I've been a bit slow posting lately. I've got some crazy lower back issues which makes sitting at a desk doing nails and sitting at a computer typing posts almost impossible :( I'm currently full of pain killers with a heat pad on my back. Hoping to be back to normal soon, don't know how much more I can take! I have a couple more swatches of British brand Jacava to show you today. I first reviewed Jacava back in December and you can read my original review here. Jacava is the world's first patented 8-free brand (no formaldehyde, camphor, DBP, parabens, collophane, toluene, phthalates or animal ingredients) and is designed and made in the UK! 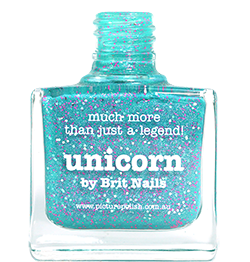 They also feature an extra long brush that reaches all the way to the bottom of the bottle, unlike a lot of brands. They were kind enough to send me some more shades to try and here they are. 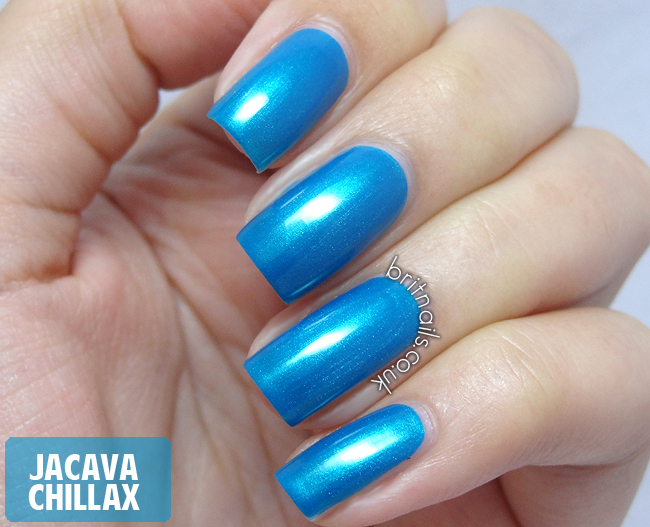 This is Chillax, a bright metallic turquoise blue with subtle shimmer. Application was great, I used 2 coats and it dries really fast. It's a bit of a stainer though so make sure you use base coat! Blueberry Muffin is a glossy lilac creme which was a bit difficult to photograph but I got there in the end! This also applied really well, 2 coats. The print on the bottle is 22 carat gold! Jacava retails at £14.50 a bottle and is available direct from the website, www.jacava.com, where there is currently a promotion for 10% off. You can also buy Jacava on Feel Unique. I have never heard of this brand before, but Chillax looks awesome! These both look stunning on you! gorgeous swatches! 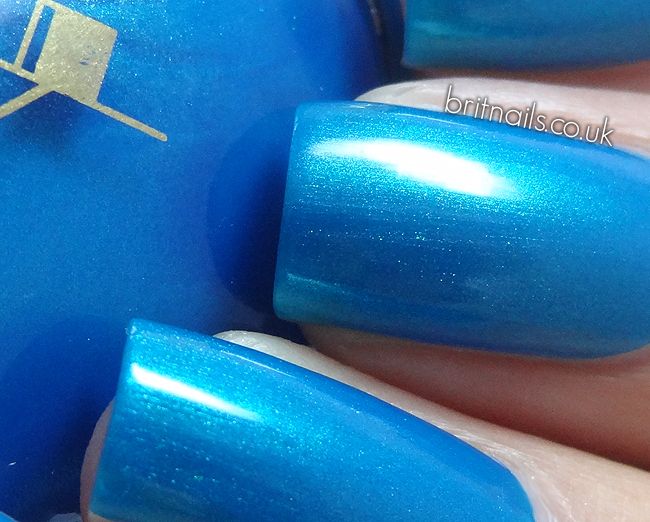 Bluebrry muffin has such a perfect colour... love it! i hope you feel better soon! beautiful swathes!